The International Air Transport Association (IATA) has released the results from its latest Global Passenger Survey (GPS), and all arrows point to maximizing the ever-changing digital world of the consumer. After combing through the 10,000+ responses, the overriding takeaway from the survey was airline customers wanting a “seamless journey” -- and they’d like most of that seamlessness in digital form. The flier’s message to the airlines is clear. As one of the survey respondents said, “Let us travel simple and efficient, conscious and paperless.” “Fast, intuitive and self-serviced airports experience is what we want,” said another. 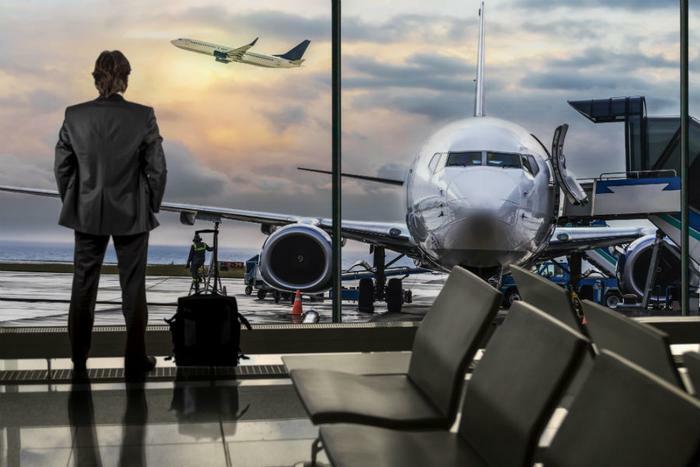 “Air travel is expected to double by 2036, the industry will not be able to handle the growth or evolving customer expectations with the current processes, installations and ways of doing business,” commented Nick Careen, IATA's Senior Vice President, Airport, Passenger, Cargo and Security. “The GPS tells us that passengers want a seamless and secure travel experience from booking to arrival. It’s a tall order because airlines have to coordinate with a mix of governments, regulators, airports, and technology companies to get it done,” Careen added. Fliers aren’t shy about voicing their concern over the chaos of the boarding process, either. More than 40 percent said that availability of overhead space for carry-on bags would definitely improve the boarding experience. Seating has become a thorny issue -- something not lost on the U.S. Congress, which told the Federal Aviation Administration (FAA) in no uncertain terms to set minimum standards for width of seats and legroom. But once passengers get buckled in, they want to be able to craft their travel experience from their seat. Common features such as the ability to make changes to their flight, get updates on gate info, choose entertainment and food options, make sure their baggage is going to the same place they are, and complete e-declarations for border processing (if required) are high on travelers’ wish lists. Interestingly, the IATA survey results regarding seatback vs. personal device entertainment streaming runs counter to what some airlines, like American, have put into play. Results change a bit where demographic preferences are concerned. Millennials want as much information as possible delivered digitally, whereas older ones prefer printed versions. That demographic also wants things done lickety-split: less than 30 seconds to drop off baggage at departure and less than 5 minutes to wait for baggage at arrival. Females surveyed showed preferences for making carry-on baggage their own concern, being able to book a hotel together with the purchase of their flight ticket, and for a paper passport over biometric identification. The IATA represents 290 airlines which amounts to 82% of total air traffic.